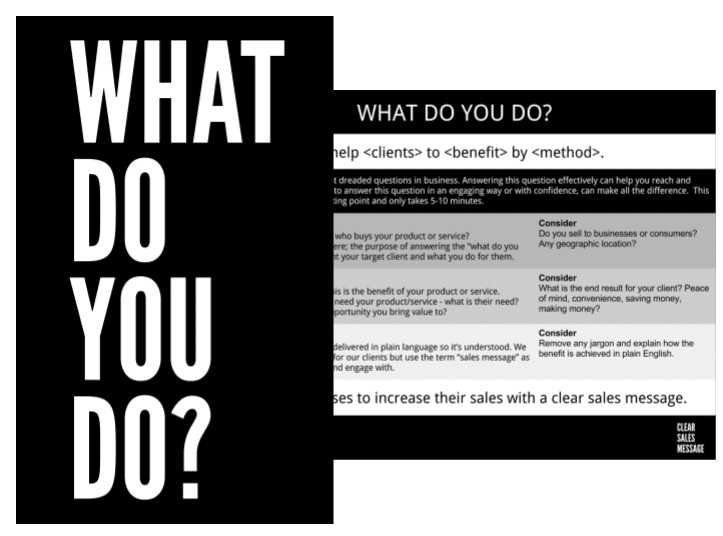 Although answering the question “what do you do?” isn’t the entirety of your Clear Sales Message, it’s the best possible start and something that very few sales professionals and businesses take the time to master. 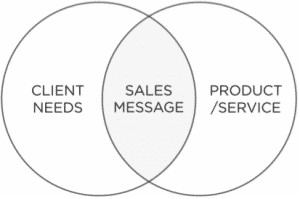 We have created a selection of free resources to help with the most important aspects of having a Clear Sales Message. 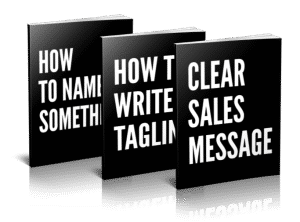 Moving on from the FREE worksheets, the Clear Sales Message books provides a detailed, pratical and tangible framework to clarify your Sales Message yourself and at your pace. The books are written in plain English and are designed to be a tool to help you rather than a theoretical masterpiece to confuse you. Our fixed price consulting service is how Clear Sales Message began. Beginning with an exploratory face to face or Skype meeting, the process of creating your Clear Sales Message takes on average 2-4 weeks. By employing an outsider to look at your messaging you can obtain a clarity and a viewpoint that’s not possible any other way. 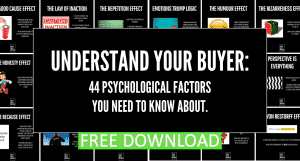 Whether you choose to work with us in person, use our free worksheets or purchase the book, it’s vital you understand the importance of a Clear Sales Message and the role it plays in the success of your sales efforts. 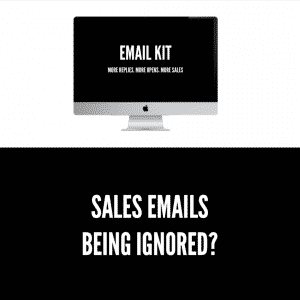 A Sales Message is one of the most important, yet often neglected parts of the sales process. It’s where every sale begins. These are the warning signs to watch out for and you can check the clarity of your current message here.